The following letter was written several years ago and presented to Harold Hitt, President, by his father at an awards banquet. We felt it was worth sharing and believe it will provide you with some insight into how Hitt Marking Devices began. In keeping with the all American dream, for sometime our son Harold, together with his wife Heidi, had been looking for a business they could establish where they would "be their own boss." In 1987 they came to my wife Dottie and me, with a proposal. It wasn't a proposal to borrow money from us to start their dream business. What Harold proposed was a true partnership where he and Heidi would match our investment and we would start a Rubber Stamp Business." He suggested that this business be started in my garage using some old outdated equipment donated to the cause by Heidi's mother, who owns and operates a rubber stamp business in Hemet, CA. The plan was that Dottie would make the stamps. Harold and Heidi would function primarily in sales. 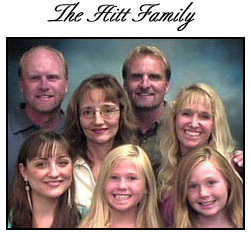 We agreed to the plan and the family business, "HITT MARKING DEVICES, INC." was begun. The company grew quickly and it wasn't long before Harold, Heidi and Ken had to quit their jobs, and come into the business full time to assist Dottie in manufacturing and sales. Harold and Ken made sales calls and deliveries in the morning, then rushed back to help Heidi and Dottie manufacture, invoice and ship out the daily orders. Also as a result of the company's rapid growth, it wasn't long before they were bumping into each other in our garage. Harold began looking for a more suitable location, in the Orange County area. In addition to the fact they needed more space, Harold confessed to being embarrassed to tell his customers that he was operating out of "a garage." We truly stepped out on faith, but hedged that faith at Harold's direction, by moving into the same general area where several large national and international corporations had established their home offices. New product lines were added such as, specialty inks, stone stamp pads, fingerprint pads, engraving, plaques and awards, stencils, labels, electric time recorders, electric branding machines, etc. It truly became a marking device business, instead of merely a rubber stamp business. We were recently awarded HEAVY WEIGHT SUPPLIER OF THE YEAR by Marking Industry Magazine. Harold has made it clear that he isn't going to be satisfied with being just another marking device company. He wants to be the best and the biggest. He is committed to offering the best in service, together with a quality product which is competitively priced. We are not the biggest yet but we are the best, thanks mostly to Harold and the dream that he held onto and sacrificed to achieve. at bottom left their daughter Lisa. and their daughters Brittany and Brooke. Also, thanks to Harold's philosophy of providing both quality and good service, and the efforts of our youngest son Ken, our company, Hitt Marking Devices was awarded Nordstrom Department store's "SUPPLIER OF THE YEAR" award. Since Nordstrom is considered to be a leader in both quality and service, this was no small accomplishment. We are grateful to Ken for making it happen. Ken, who entered the business in late 1988, has become an invaluable member of Hitt Marking Devices family team, as demonstrated by this award. 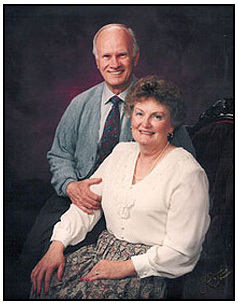 One of Harold's stated goals from the very beginning has been to provide a source of income for his dad and mom's retirement. That goal has now been achieved much earlier than we ever dreamed it could. This award given this 14th day of December, 1993, by his proud parents, Don and Dottie Hitt. In the years since this letter was written, A new division "I.D. Technologies, Inc." was formed to focus entirely on the manufacturing and selling of Identification, Fingerprinting and Forensic products. Don and Dottie have retired to Washington State. Heidi is a stay at home mom with two children. Harold, President and Ken, Vice President still remains involved in day to day operations. "If you're in the area we invite you to come by and see us."